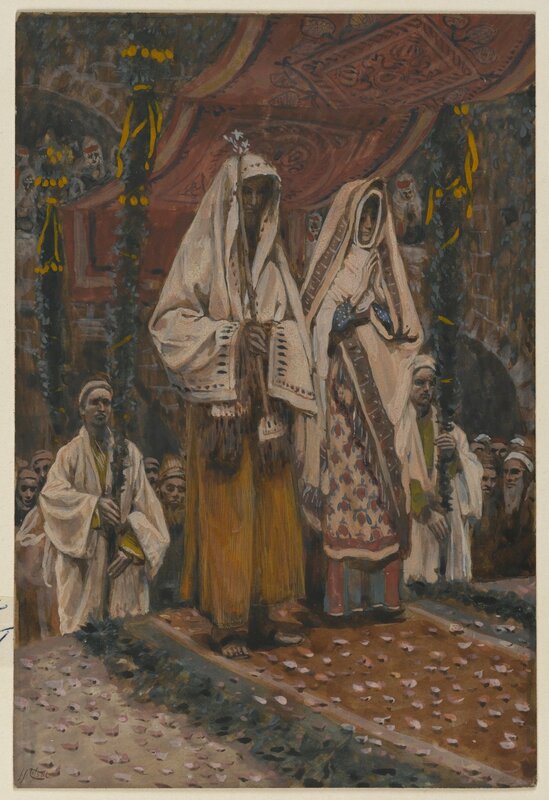 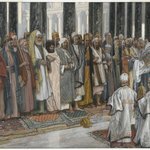 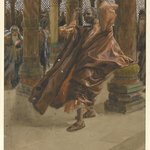 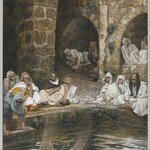 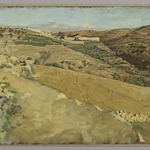 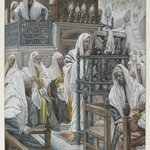 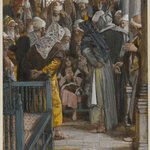 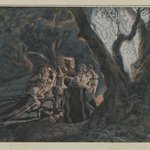 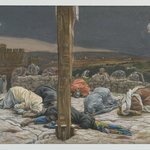 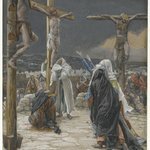 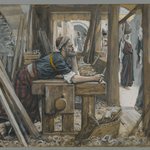 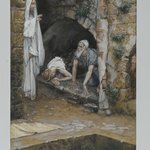 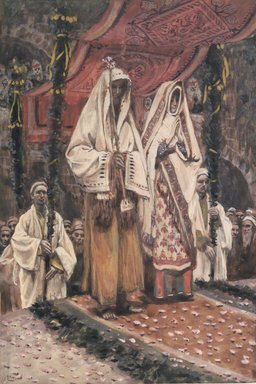 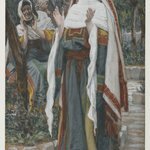 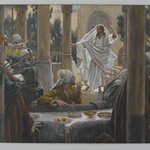 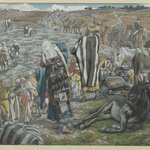 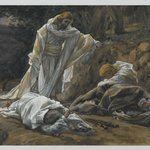 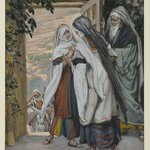 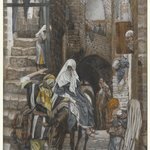 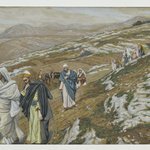 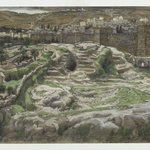 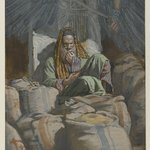 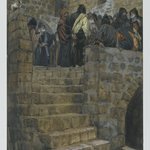 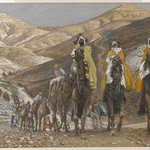 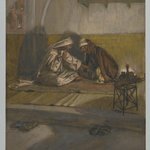 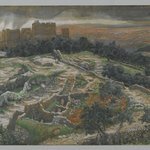 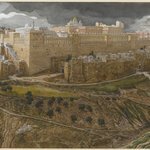 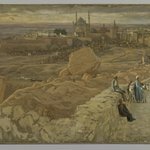 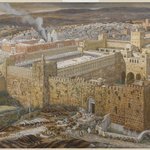 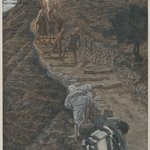 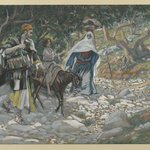 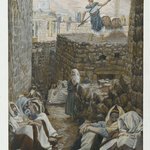 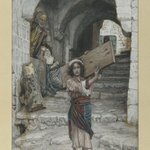 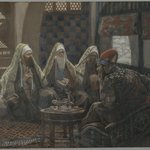 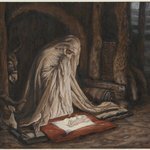 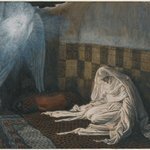 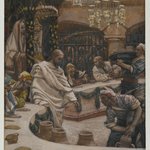 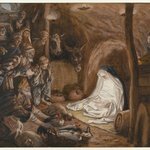 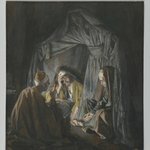 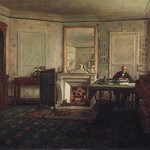 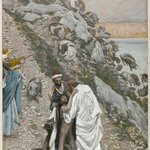 Although Luke devotes just two verses to the betrothal of Mary and Joseph, their formal promise of future marriage, Tissot inventively elaborates on the event, calling on his extensive research into ancient Jewish ritual. 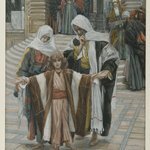 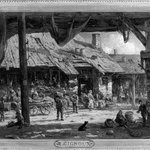 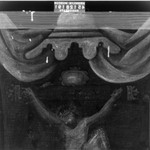 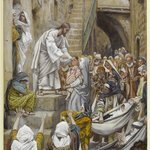 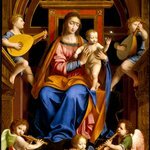 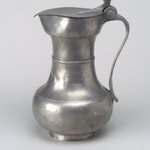 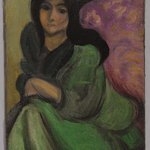 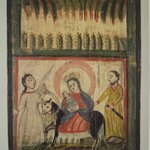 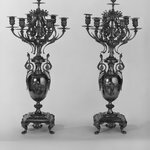 Before a sea of onlookers, Joseph, with staff still in hand, and Mary stand with heads bowed beneath a painted canopy held aloft by attendants who grasp lushly garlanded poles. 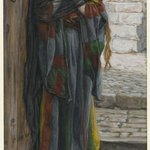 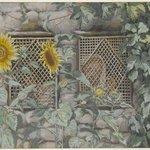 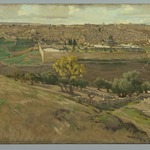 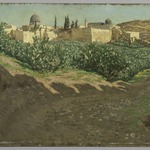 Tissot crams this tiny work with a multitude of details, from the patterned robes of Mary and Joseph to the petal-strewn carpet beneath their feet.